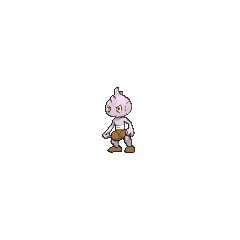 Tyrogue in game: 5,828 Who? Important notice! 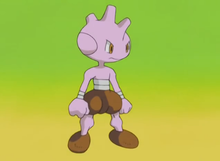 Pokemon Tyrogue is a fictional character of humans. 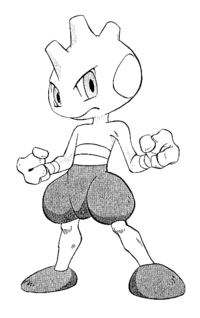 Tyrogue's first appearance was in A Tyrogue Full of Trouble. It had been abandoned by his previous Trainer and left to fend for itself. Because of this, it developed a hatred towards humans. Tyrogue ended up forming a gang of Mankey and Primeape, and together they would steal from weary travelers, such as Ash and his friends. But thanks to a Black Belt named Kiyo, who had been pursuing him, Tyrogue reformed a trust with humans and ended up becoming his newest Pokémon. A Tyrogue appeared in Gary's explanation in Johto Photo Finish. A Coordinator's Tyrogue appeared in Dressed for Jess Success! participating in the Battle Stage of the Lilypad Contest. Tyrogue made it to the final round but lost to James's Carnivine. A Tyrogue under the ownership of a Coordinator appeared in Opposites Interact! in the Sinnoh Grand Festival. 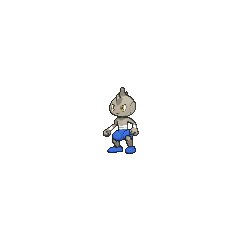 A Tyrogue made a brief appearance under the ownership of a Trainer in the Lily of the Valley Conference in An Old Family Blend!. Two Tyrogue were seen in Scrappy Skarmory, they helped Chuck's Wife prepare for dinner in the Cianwood City Gym. At the Cianwood Gym, Tyrogue were seen helping Chuck's wife make dinner. Tyrogue becomes stressed out if it does not get to train every day. 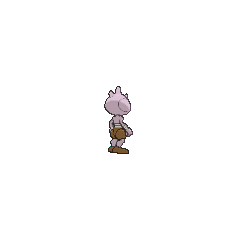 When raising this Pokémon, the Trainermust establish and uphold various training methods. Tyrogue and Eevee are the only Pokémon that can evolve into more than two Pokémon. 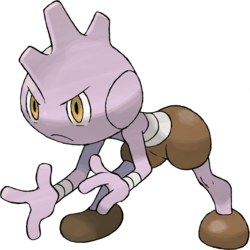 Tyrogue also has the lowest HP and Attack base stats of all Fighting-type Pokémon. 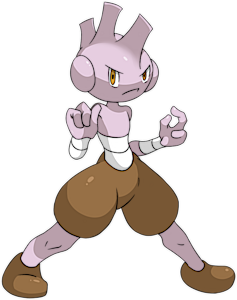 Tyrogue is the only Pokémon that breed a shared evolution family between two Pokémon that were previously unrelated.